If you’re going to spend up to $40,000 on a car, you’re obviously going to want speed or luxury…or both. Sometimes you get lucky and hit the jackpot on both ends. Other times you’re just happy with one or the other. For now, we’ll concentrate on the speed side. We want to look at the cars in this price range that will keep our hearts working as hard as they do. As is customary, we’ve taken only the best knowledge from top researchers at Car and Driver, Consumer Reports, Edmunds, and Motor Trend to find what’s available in the fastest cars under $40K. If you think getting to 60 mph in just 4.5 seconds is really fast, you’re darn right. That’s exactly what you’ll get from the turbocharged 2.5L 4-cylinder engine, which rockets out 305 horsepower and 290 lb-ft. of torque. Fuel economy drops quite a bit to 17/23 mpg (city/highway), but that’s to be expected with the turbo boost. Everything else about the vehicle screams racing. The STI features limited-slip differentials in both front and rear, a six-speed manual transmission, and high-quality Brembo brakes. It is one of the most athletic vehicles in this class. 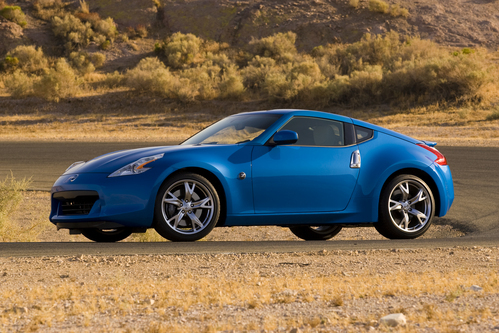 There’s a lot more to the 370Z than just its Porsche-like styling. It features a tuned version of the base 3.7L V6 engine, which produces 350 horsepower and 276 lb-ft. of torque. It also utilizes a six-speed manual transmission with SynchroRev Match, which automatically matches engine rpm to wheel speed for smoother clutch reengagements, to blast its passengers to 60 mph in just 5.1 seconds. It provides glue-like grip to the road and relentless control when cornering. Unless you’re a huge fan of racing sounds, the noise generated from the 19-inch tires and the particularly loud engine can be a bit extreme at times. Here’s another turbocharged beast that will have its riders screaming to 60 mph in just 5.1 seconds. 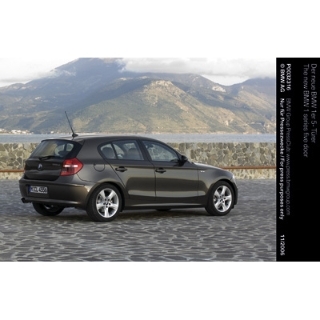 Thanks to its turbocharged 3.0L inline-6 engine, the 135i will push 300 horsepower and 300 lb-ft. of torque. It also maintains a fairly decent fuel economy for a car this fast, at 20/28 mpg. The 135i convertible isn’t quite as fast, but will turn 5.5 seconds reaching the same speed if you’re more of a top-down kind of speedster. Though it does possess responsive steering and excellent body control, the handling isn’t quite up to par with other Beamers. On the other hand, it is tough to find a vehicle that’ll blow your hair back faster than this one, and being a BMW, you’re going to get the best of both worlds here – speed and luxury. Vying for the Hemi in the Dodge Challenger doesn’t make much sense since the weight of the car doesn’t really allow for the added power to noticeable. However, in the Charger you can feel the difference. The 6.1L Hemi V8 will gear the SRT8 Charger up to 60 mph in a very speedy 5.3 seconds. Don’t even bother looking for fuel economy as this one is all about the power, and it’s thirsty. The drawback to having that power in the Charger is that it’s more suited to straightaways than winding roads. It does have light, communicative steering but it tends to get squirrelly in hard cornering. Ride quality, however, is superb.